For some, this means tying a thin piece of nylon sheet to a back pack with a very thin chord and then hurling themselves off a cliff and give it a cool sounding name like “base jumping”, or striving to be the best of the best, to be an astronaut, or a world leader …… to others it is simply overcoming one hurdle at a time. This could just be getting out of bed for someone battling cancer, or a car accident victim learning to walk again. As a child I dreamt at being great, I was confident and always wanted to be the best at everything I did. I was quietly competitive… “who could do the biggest jump on their push bike?” “Who was the best skate boarder?” “Who got the best job, or who got paid the most money”. At college I was a bit of a lad, yet at the same time was a quiet achiever. “I cut the cake and ate it too”, a philosophy I still strive for today. I studied hard to become an architectural draughtsperson while my mates left school to get normal jobs. I have pushed myself to become good at snow skiing, water skiing, snow boarding, wake boarding, competed nationally with jet ski racing, surfed, mountain biked, raced moto-x, became an active trail bike rider and experienced parenting (my most rewarding activity to date). 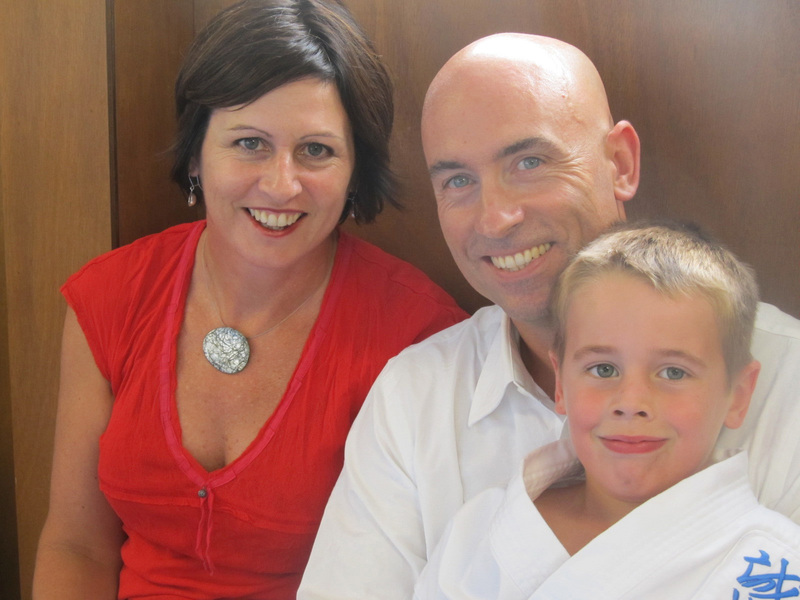 So, when my mate of two and a half decades (Don, my “brother” from “another mother”) started Seido Karate, I was intrigued myself but found many reasons for not having a go. My aching back; my right knee ACL reconstruction; my left shoulder rotator cuff tear; my damaged femoral nerve. Then, my six year old son showed an interest, but he also had excuses due to shyness, so I said I would do it with him. But, before that, I had to check it out! Denim jeans, t-shirt and a pile of sweat. What a heap of fun and great people! I was hooked! So much so, I momentarily forgot about the pain. However, still battling with the reasons why not, I learnt early on about a non-quitting spirit. Something I think I always had in me, just temporarily suppressed! Despite sometimes being in terrible pain, I now keep telling myself “know no boundaries”, “keep going”. This also flows over into my work and personal life when hurdles are put in my way. So, I had become a student of Seido Juku Karate – the sincere way! I mentioned previously how much karate has helped me, it extends far beyond the dojo. Everyone’s karate journey is unique and their paths are never the same. My mate (Don) and his partner (Wendy) are like my brother and sister, and the three of us started our journey together, but are now on different paths, all striving to be better. Better physically, better mentally, better spiritually…. to be better people in very different ways. Something that I have always known, but have only recently appreciated, understood and whole heartedly accepted is that it is not about the colour of the belt, it’s not a competition with anybody else but with oneself, to be better today than yesterday, to be better tomorrow than today. My physical karate may change in the future as my physical health changes, but my karate will not stop. I will fight to keep my physical health…. relentlessly and to know no boundaries. While karate has a combat element to it, this is merely one part of the whole for me. I am a lover, not a fighter but I will fight for love, for my wife, for my son, for my parents, my family and for my dojo family. My journey is to be a better person, sincere, empathetic, to care for others, to be humble.